Our Internet marketing experts take pride in providing quality search engine optimization for all of our website clients. 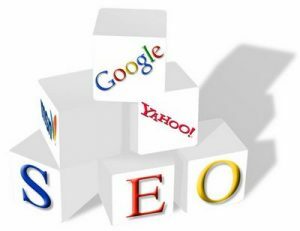 Search engine optimization (SEO for short) is the process of improving a website’s visibility using algorithmic search results. This strategy analyzes and constructs websites and individual pages, and indexes them through search engines such as Google, Yahoo! and Bing. SEO basically gives a web page relevancy and top billing on a search browser using keywords and tags. In short, the higher on a browser page a site appears, the more likely web traffic would improve, as visitors will notice a site’s visibility through various search engines. Learn more at: more at Sandcastle-Web.com. This marketing strategy can work well with a well-groomed website that isn’t receiving the hits wanted. If anything, SEO can be beneficial for the average or low-budget websites – as long as the proper keywords are inserted. Our Internet marketing professionals can provide additional information about SEO, as well as online reputation management for websites. Call our Dallas SEO experts today, or contact us online for more details.